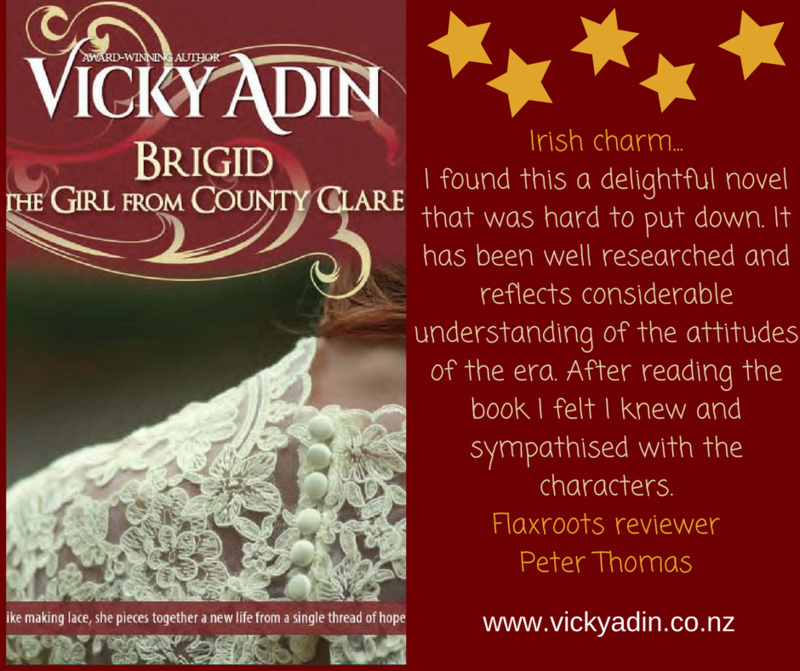 I am delighted to announce, The Costumier’s Gift – the dual-timeline sequel continuing the family sagas of Brigid The Girl from County Clare and Gwenna The Welsh Confectioner is now available for pre-order. 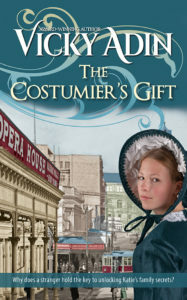 1903 – Jane is the talented principal costumier at Auckland’s Opera House in its Edwardian heyday. She thrives in this place where she can hide from her pain and keep her skeletons to herself – until the past comes back to haunt her. Brigid, her beloved foster mother, and her best friend Gwenna are anchors in her solitary yet rewarding life. As the decades go by, the burden of carrying secrets becomes too great, and Jane must pass on the hidden truths. Today – Katie seeks refuge from her crumbling personal life with her grandmother, who lives in past with the people in her cherished photographs. 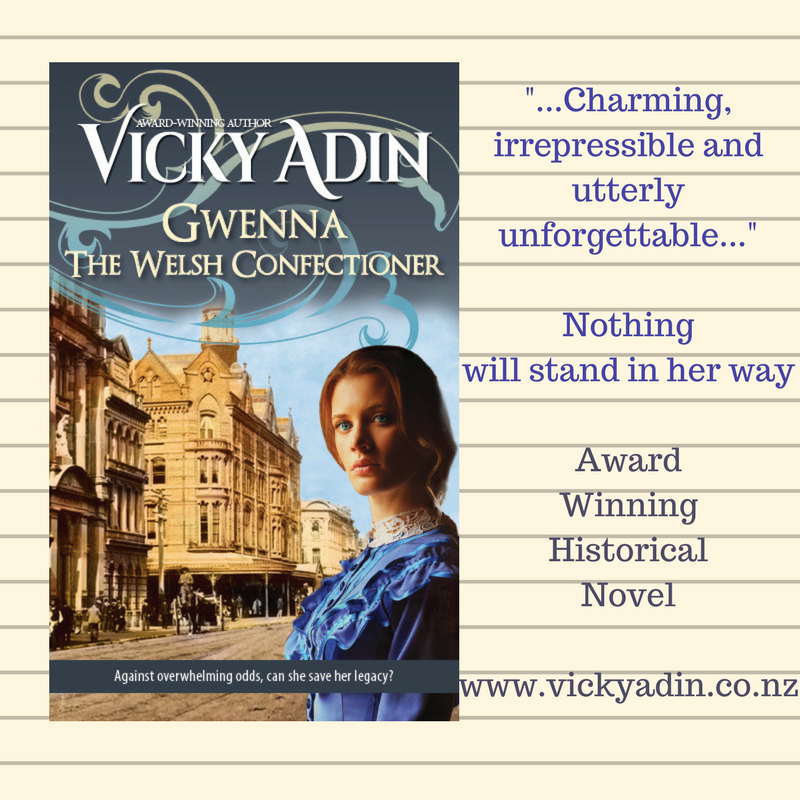 All too soon, Katie learns she must identify the people behind the gentle smiles – including the Edwardian woman to whom she bears a remarkable resemblance – and reveal generations of secrets before she can claim her inheritance. She meets the intriguing Jared, who stirs her interest, but she’s not ready for any sort of romance, so is shocked when she learns that he holds the key to discovering the truth. Katie had only herself to blame and now it was too late: too late for Granna; too late for her; just plain too late. Saddened, Katie shrugged the thought away. Her mother’s death fifteen months before had shaken her. No, more than that, shattered would be a better term, but she doubted the old woman sitting before her, endlessly chattering about the past, even knew her daughter had gone. “Who’s that, Granna?” asked Katie, knowing she wouldn’t be able to make sense of the answer, if one came. Part of her wanted to find out about the people Granna talked about, but none of it mattered. No one else cared about Granna or the past, and since Katie had no plans to marry or have children, there’d be nobody to care in the future either. After Katie’s grandfather died, roughly twenty years earlier, her grandmother had continued to live in their substantial and beautiful villa alone. A decade later, Granna could no longer manage on her own and moved in to her daughter’s family home. Trying to hold her own family together, and looking after her mother as her mind slipped further away from reality, was too much for Katie’s mother’s overworked heart. Oh, why had nobody noticed, Katie lamented. But Katie noticed things these days. She noticed the delicate bones in Granna’s fingers, and the soft, papery skin riddled with dark lines under the looseflesh. Those once-strong fingers had been so creative and so gentle. Now they looked as if they would break if you touched them, except Granna was nowhere near breaking – at least not physically. A bird tweeted out in the garden and Granna turned her head. Her dark velvet eyes glanced across Katie’s face and momentarily held her gaze. Eyes that shone with love and purpose. In days gone by, you could get lost in those eyes, drawn into their protective warmth. Now, the depth that lived within them belonged to another era. Putting Granna into the rest home had been the most difficult decision Katie had ever made. Her father had wanted nothing to do with the batty old woman, he’d said and washed his hands of the whole affair. Katie had no such choice. Left with sole responsibility when her mother died, she could see no other option. Prone to wander, Granna had taken it into her head that she was living in the house where her Granma Gwenna had once lived and nothing anyone said could change her mind. ‘I know where I’m going, Katie dear,’ she’d say – but she didn’t. Wherever the house in her mind had once been, the rest home was new and in a foreign-to-Granna area. Every available surface in her gran’s room was covered with her cherished photographs. When she’d first moved in, the managers tried to persuade her to keep them on one shelf and limit the number, promising to change them regularly, but Granna was having none of it. She didn’t say anything but simply took them from the drawer and put them back. At one time, they tried taking them out of the room but Granna had thrown such a hissy fit, they gave in. One photo in particular always drew Katie’s attention. The sepia tones had faded but the clothes and hairstyles worn by the two women were unmistakably early Edwardian. One of the faces looking back at her was her own – the resemblance was uncanny. But there was no name on the back to say who she was. Granna called the older woman something that sounded like ‘Moh-ree’ but Katie had never heard her call the second woman by name. She made a mental note to look in her mother’s collection and see if she could find anything with names. She’d put off going through the house and sorting her mother’s possessions, but the time had come. Her father had a new love now and the woman didn’t want the old stuff around. “You should see those costumes our Janey used to make,” said Granna. “The fabrics were glorious, but Mam wasn’t allowed to go to the theatre to see them on the stage until she was much older. Moh-ree was strict about that …” and off she’d go again telling a story, half in the present and half in the past, about people Katie didn’t know and whose relationships didn’t make sense. She was sure Granna often confused the generations, and Katie hadn’t been able to work out which name belonged with which era. She couldn’t even put a name to Granna’s ‘Mam’. Although she didn’t recognise anyone else, for some inexplicable reason, her grandmother knew who Katie was. Born on the same day as her, sixty years later, and named after her, they’d had a special relationship until Katie had gone off to university. Now Katie wished she’d paid more attention to her mother, and her gran. “I’ve come to make you more comfortable, Mrs Bridges.” Katie watched the nurse pat her gran’s arm. Granna Katy had kept a wonderful garden once. The two of them had often wandered around it together while Granna named all the flowers. Katie’s eyes rested on the deep-pink throw she’d given her gran. She, too, loved that colour. “How is she doing overall?” Katie asked the nurse. “Her memory of long-ago events seems faultless to me.” But then, she couldn’t say whether Granna was right or not. “Very well, actually, for her age. She keeps active and goes to all the exercise classes, especially when there’s music playing.” Despite her memory loss, Granna was still a relatively fit and healthy ninety-year-old. Katie smiled. She’d watched her grandmother more than once at these classes, dancing in her own world rather than following the instructor. “And she still plays the piano,” continued the nurse. Katie remembered the piano lessons with her gran at her house when she was young, and the comings and goings of the other students. Everyone knew Granna couldn’t hold a conversation the way most people did, but with a little bit of persistence she could tell you what she wanted. “That’s nice. There’ll be a cup of tea coming shortly,” said the nurse. 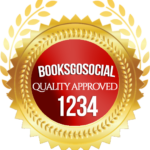 Awarded a BGS Gold Standard Quality Mark.